Take a break today from your busy life and imagine walking in an enchanting garden and coming across a hidden treasure full of everyone’s favorite chocolate, Kit Kat! 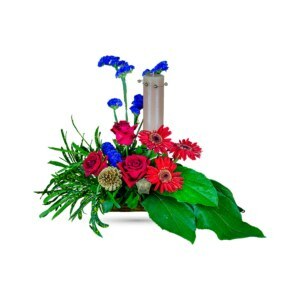 Or, just order our newest bouquet – Flowery Break – for that! 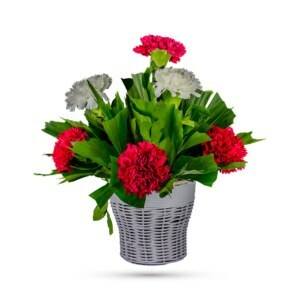 This harmonious bouquet contains lush white roses, gerberas, carnations and lilies with fresh-greens for an elegant garden look full of heart-shaped goodies presented in an exclusive clear vase! It will enchant everyone with its glossy, graceful leaves and stunning white flowers. 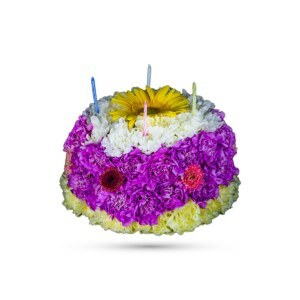 Because of the softness and elegance, it is a stunning choice for any occasion: Anniversaries, Birthdays and Mother’s Day etc. 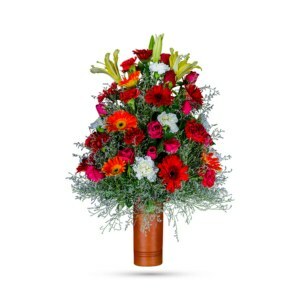 It is a wonderful way to send your love, or to brighten up any lucky person’s day. Chocolate cravings meet freshness in this beautiful and aristocratic arrangement. So, order one today and receive it at your doorstep now!